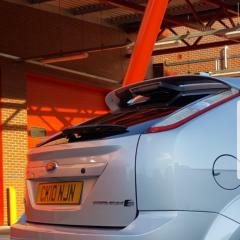 focus mk2.5 bonnet lock issue. I had Aircon condensor replaced for a new one at a garage , realised bonnet lock won't release the bonnet , it sounds as cable is not attached . either they didn't refit cable to lock or snapped it .cant tell without opening bonnet. just in case if bonnet lock bit is broken need to get the correct modified version of bonnet lock kit . so if anyone has any links please paste it . Hi mate, firstly get your Aircon system diagnosed from a reputable garage .at least this will pinpoint cause of ac not working . as for condensor , I bought it from Euro car parts . make is Eis ( made in Germany, that's what it said on box . I paid £60 & he gave me lifetime warranty on it . The reason my bonnet lock was not working is cos they most probably broke it or didn't fit correctly . but then to open you have to break to get it open.